The Election Law Program is a joint venture of William & Mary Law School and the National Center for State Courts. Through generous funding from the Democracy Fund and the Rockefeller Brothers Fund, we have created five state-specific election law eBenchbooks to provide comprehensive, freely-accessible, nonpartisan, online resources for judges, legal professionals, and the public. We seek to illuminate and clarify the intersection of the law and elections. Each eBenchbook contains the complete state election code along with explanatory annotations contributed by attorneys, state election administrators, and academics working in the election field. Under the supervision of the eBenchbook staff and with direction from our in-state expert committees, William & Mary Law School students have added relevant case law, regulations, administrative guidance, and other materials related to election codes and their operation. Whether you are a judge, legal professional, or a citizen who wants to know more about the law of elections, we hope that this site will give you a clearer understanding of how election laws help to shape the contours of our democracy. The following individuals comprised our committees of state election experts, and are responsible for authorship of the statutory annotations available in highlighted text on the statutes. We selected committee members to participate in the project based on their superior knowledge of state election law and exemplary reputations as attorneys, academics, and administrators in the election field. In addition to contributing annotations to the site, they provided valuable guidance on the project’s coverage and development. We are very grateful for their participation and enthusiasm for this project. 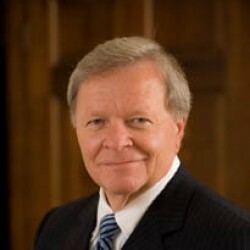 Bill Hobbs served as Deputy Secretary of State in Colorado for 13 years prior to his retirement in 2012. During his time with the Secretary of State’s Office, Mr. Hobbs was involved in the Office’s elections administration efforts and served as Chairperson of the State Initiative Title Setting Board. Judd Choate is director of the Elections Division for Colorado’s Department of State. Prior to joining the Elections Division, he practiced election law for Kelly Garnsey Hubbell & Lass in Denver. Before law school, Dr. Choate was a professor of political science at the University of Nebraska, where he taught courses on campaigns and elections. 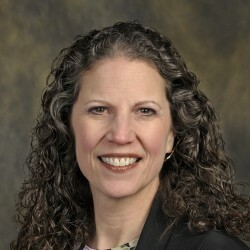 Martha Tierney leads the Government and Public Policy Practice Team at Tierney Lawrence LLC. 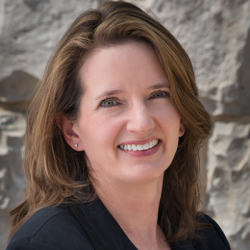 In her practice, she focuses on election law, campaign finance, and government relations. Ms. Tierney previously participated in the William & Mary Election Law Program's Election War Games project. 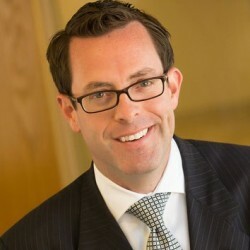 Ryan Call is Of Counsel with HaleWestfall LLP in Denver. His practice areas include campaign finance, government affairs, and lobbying and ethics rules compliance. Mr. Call previously served served two terms as State Chairman of the Colorado Republican Party. 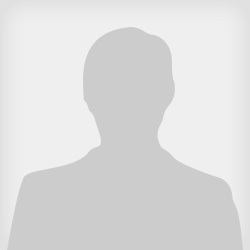 Richard Coates is an AV rated attorney and manager of Coates Law Firm, PL. He was named to Florida Trend’s Legal Elite in 2010 and 2011. For the last 20 years, Mr. Coates has limited his practice to representing candidates, political entities and public servants. He has represented numerous local, state, statewide, and Federal elected public servants, including House Speakers, Senate Presidents, members of the cabinet and governor. From 2011 to 2014, Coates served as General Counsel to Republican Party of Florida. 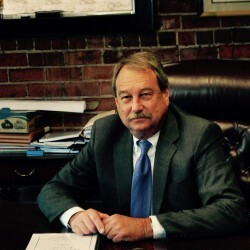 Ron Meyer is a founding partner of Meyer, Brooks, Demma, and Blohm, P.A., in Tallahassee. He devotes much of his practice to representing candidates and political organizations, and has appeared before the Florida Elections Commission, the Florida Commission on Ethics, and the Federal Election Commission. Mr. Meyer is a member of the ABA’s Election Law Committee. Sarah Jane Bradshaw is former assistant director of Florida’s Division of Elections. Prior to her time at the Division of Elections, she worked as legislative staff for the Florida legislature for over twenty years, primarily assisting the Elections Committee. 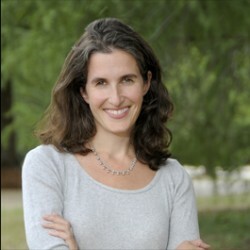 Terri Fine is a professor of Political Science at the University of Central Florida. Professor Fine also serves as Associate Director and Senior Fellow at UCF’s Lou Frey Institute of Government and Politics. Her academic focus includes political participation, and public opinion and voting behavior. Bradley Schrager is a partner in the Las Vegas office of Wolf, Rifkin, Shapiro, Schulman, and Rabkin where he is head of the firm's Politics & Government practice. He handles campaign finance compliance matters, election litigation, ethics investigations, and more, for a wide variety of clients including state and national political parties; federal, state, and local candidates; legislative caucuses; political action committees; nonprofits; and others involved in political and legislative processes. He also has expertise in ballot measures and represents both proponents and opponents of popular initiatives and referenda. Daniel Stewart is a partner with Hutchison & Steffen, where he leads the Firm’s Election, Campaign, and Political Law practice. Prior to joining Hutchison & Steffen, Daniel served on Nevada Governor Brian Sandoval’s senior staff as general counsel and as the Governor’s liaison to numerous executive branch agencies and departments. Before his time as Governor Sandoval's chief counsel, Daniel represented many of Nevada’s elected leaders, including the Governor, U.S. Senator, Lt. Governor, Attorney General, and Nevada Republican Senate and Assembly Caucuses. He also served both the Speaker of the Assembly and the Majority Leader as general counsel and chief policy advisor. Additionally, Daniel represented two presidential campaigns in Nevada as lead counsel. Joseph Gloria is the registrar of voters for Clark County. 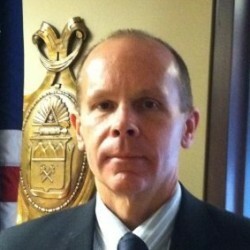 Before his current position, he worked in Election Department for over 23 years. Josh Hicks is an attorney at McDonald Carano where he leads the Firm’s Government Affairs & Advocacy Group. 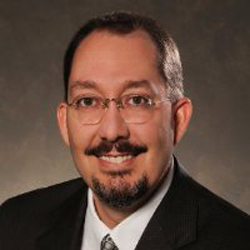 He represents clients before the Nevada Legislature, local governments and state government agencies, and advises on all aspects of Nevada campaign finance and election law, including ballot initiatives. Before joining McDonald Carano, Josh worked as a registered lobbyist, in the private sector. Before that, he served as Chief of Staff to Governor Jim Gibbons and as General Counsel and Deputy Chief of Staff to the Governor of Nevada. 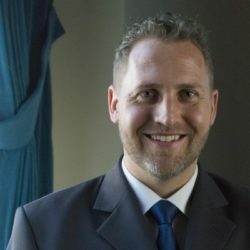 Matt Griffin is an attorney and lobbyist at the Griffin Company, where his practice concentrates on election and political law, ballot initiatives, and constitutional law. Matt also served as a criminal prosecutor before being appointed by Secretary of state Ross Miller to be Nevada’s Deputy of Elections. Sondra Cosgrove is a thirty-two-year Las Vegas resident. Sondra is a full-time history professor at the College of Southern Nevada and is actively involved in college and community service. This includes chairing the CSN Native American Alliance and serving as a past chair of the CSN Women’s Alliance. As the President of the nonpartisan League of Women Voters of Nevada Sondra engages in community and civic empowerment as well as advocacy for important civil rights priorities. Education, healthcare, sustainable living, and the protection of all civil rights are foundational issues that form the basis of the League’s work. Wayne Thorley is the appointed Deputy Secretary of State for Elections and is responsible for administering the State’s election process including enforcing state and federal election laws and procedures and the Help America Vote Act (HAVA). 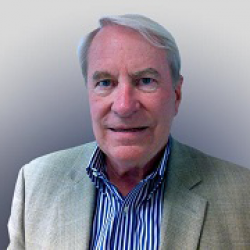 Wayne serves on the Executive Board of the National Association for State Election Directors (NASED), and he is also the Treasurer of the Electronic Registration Information Center (ERIC). 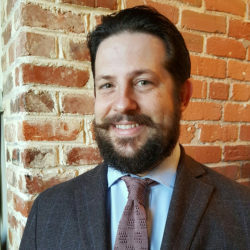 Brooks Braun is an attorney at the Virginia Division of Legislative Services where he drafts legislation and staffs the General Laws and Privileges and Elections Committees for the Virginia General Assembly. Before joining DLS, Brooks was a Policy Analyst at the Virginia Department of Elections where he provided a broad range of support to elections officials, candidates, and voters across the Commonwealth regarding the application of Title 24.2 of the Code of Virginia. His primary subject matter areas were duties of election officials, campaign finance, candidate processing, and recounts and contests. Brooks also worked as senior legal analyst assistant to the OSCE/ODIHR observation mission to the United States elections in 2012 and as a policy fellow with the International Foundation for Electoral Systems (IFES). 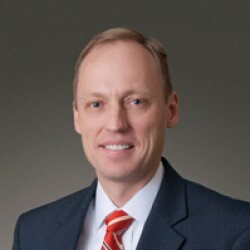 Christopher R. Nolen is a Partner with McGuireWoods LLP in Richmond, and senior vice-president of McGuireWoods Consulting’s State Government Relations Group. Mr. Nolen is co-author of five annual surveys of Virginia election law, which were published by the University of Richmond Law Review. Henry Chambers is a law professor at the University of Richmond School of Law, where he teaches constitutional law, among other subjects. In 2015, the Association of American Law Schools Section on Election Law selected Professor Chambers’s “Local Officials and Voter ID” as winner of its Call for Papers competition. His paper details implementation of Virginia’s voter ID law. A Virginia native, Jack Young is Counsel with Sandler Reiff Lamb Rosenstein & Birkenstock, P.C., and he has handled election litigation at both the federal and state levels. He currently serves as the chair of the ABA Standing Committee on Election Law. 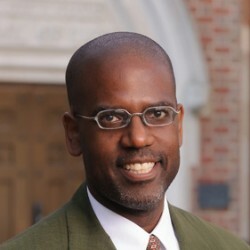 Mr. Young is an Adjunct Professor at William & Mary Law School, where he teaches international and comparative election law. Professor Green is Professor of Practice and Co-Director of the Election Law Program. In that role, she oversees its annual symposia and speaker series and undertakes a series of projects designed to educate judges about election law topics. 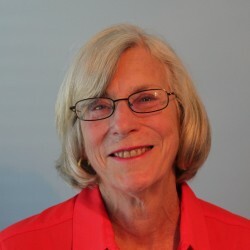 In addition to the eBenchbook project, she formulated Election War Games at state judicial conferences in Virginia, Colorado, and Wisconsin, and has supervised students on a variety of projects such as drafting an ABA report on 2012 election delays and Revive My Vote. Professor Green also serves as the faculty advisor to the student-run State of Elections blog. 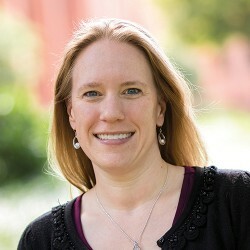 Amy McDowell is an Education Program Manager with the Institute for Court Management at the National Center for State Courts and Co-Director of William & Mary’s Election Law Program. At the National Center for State Courts, she is responsible for managing and coordinating the ICM Fellows Program and annual Fellows Leadership seminars. 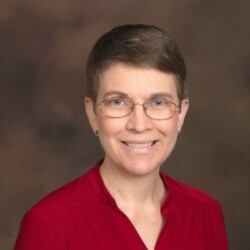 She serves as faculty for ICM’s national, licensee, partnership and distance learning courses and provides subject matter expertise for curriculum and faculty development. She is a former editor of Judicial Education and Training (the journal of the International Organization for Judicial Training) and Future Trends in State Courts. Reiko Dogu is a graduate of Lewis and Clark Law School and a member of the Virginia Bar. 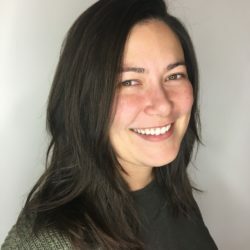 Before managing the Election Law Program, Reiko was the Senior Elections Administrator at the Virginia Department of Elections where she implemented the requirements of Title 24.2 of the Code of Virginia. In addition to our funders and state committee members, we would like to extend our gratitude to the following people and organizations for their assistance in the development of the eBenchbook project: Seamus Kraft and the OpenGov Foundation; Waldo Jacquith and the State Decoded project; Sam Klein and the Berkman Center for Internet & Society at Harvard University; Adam Ziegler at the Harvard Law School Library; Nik Reed and his team at Ravel Law; Chris Hull and the team at Helium Studio; the Colorado General Assembly’s Office of Legislative Legal Services; the members of the Election Law Program Advisory Board, Dean Davison Douglas, Assistant Dean Laura Heymann, and Terri Lorincz at William & Mary Law School.